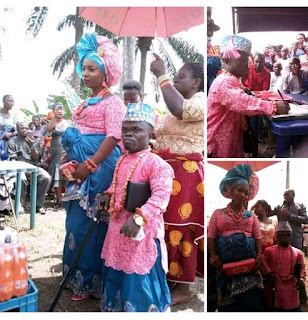 These photos were taken from the white and traditional wedding of a Dwarf & his very tall Bride who looked pregnant, both identified as Mr/Mrs. Ufuoma Asigri (a.k.a HOD). 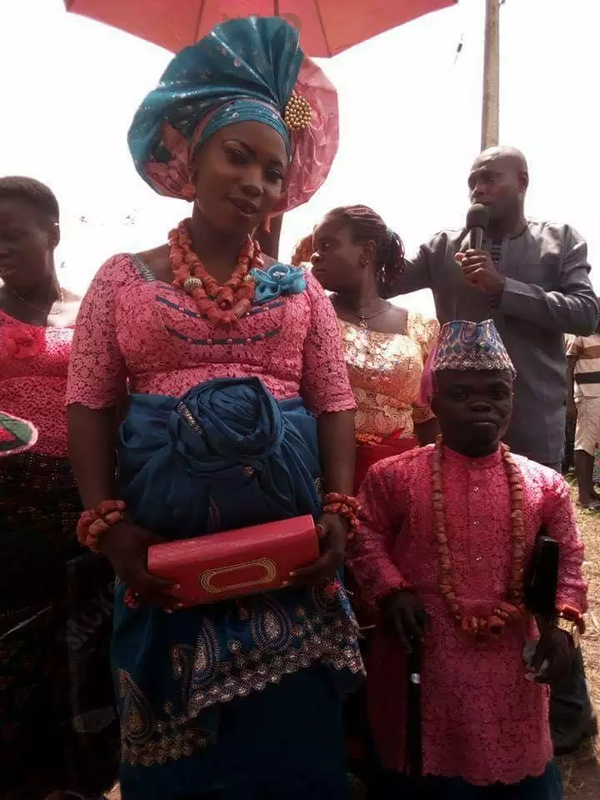 I don’t know if I should say love is wicked “of course I will be a cynic if I say that” or I should say love is blind “this is a more better version for the society”, but all I know is love is inexplicably unexplainable. 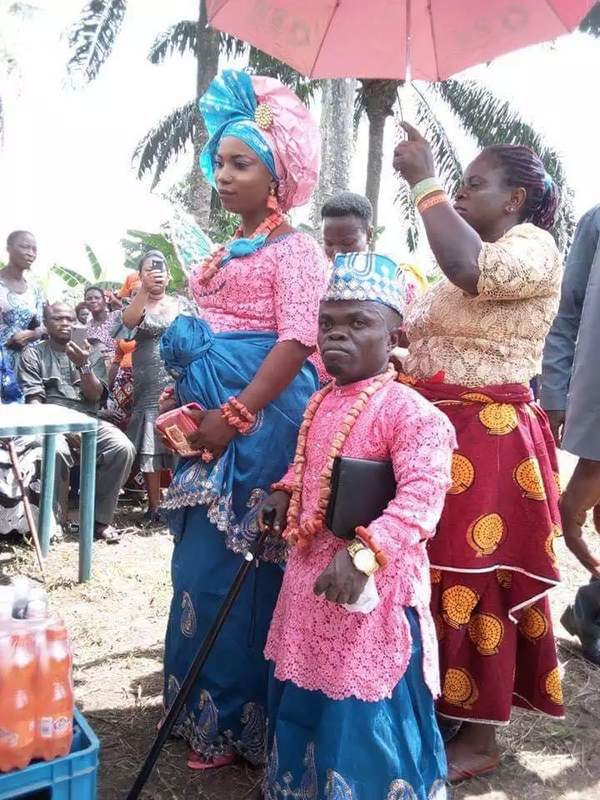 I mean, how can one explain the idea that a boy falls in love with someone at the age of his mother or grandmother and marry them, same thing goes to female and now we have dwarf marrying a very tall lady. Its simply unexplainable. 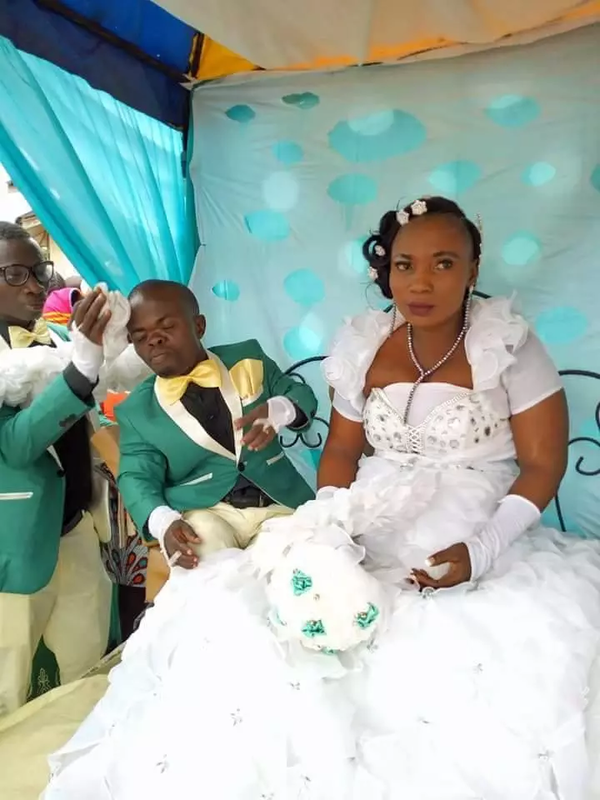 The lovely couple who became online sensation following their recent traditional wedding. 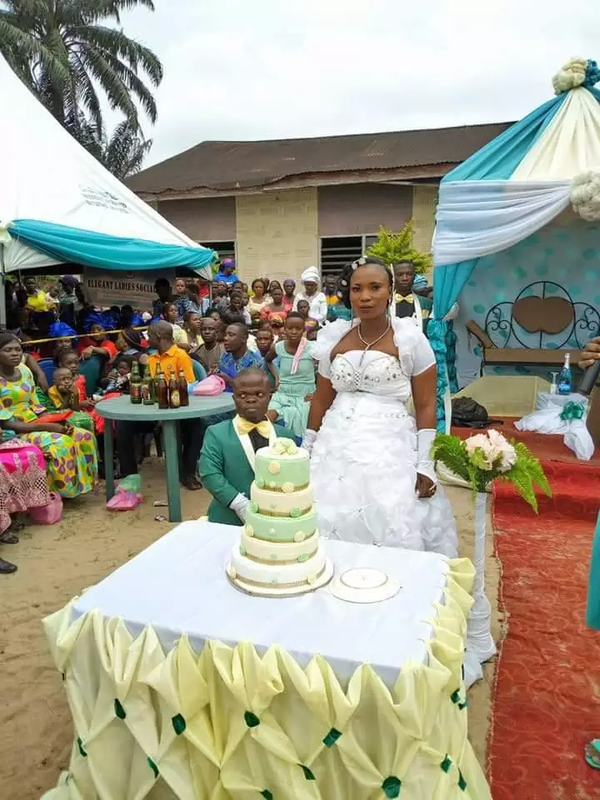 They did their white wedding today in Delta state in the presence of family, friends and colleagues. 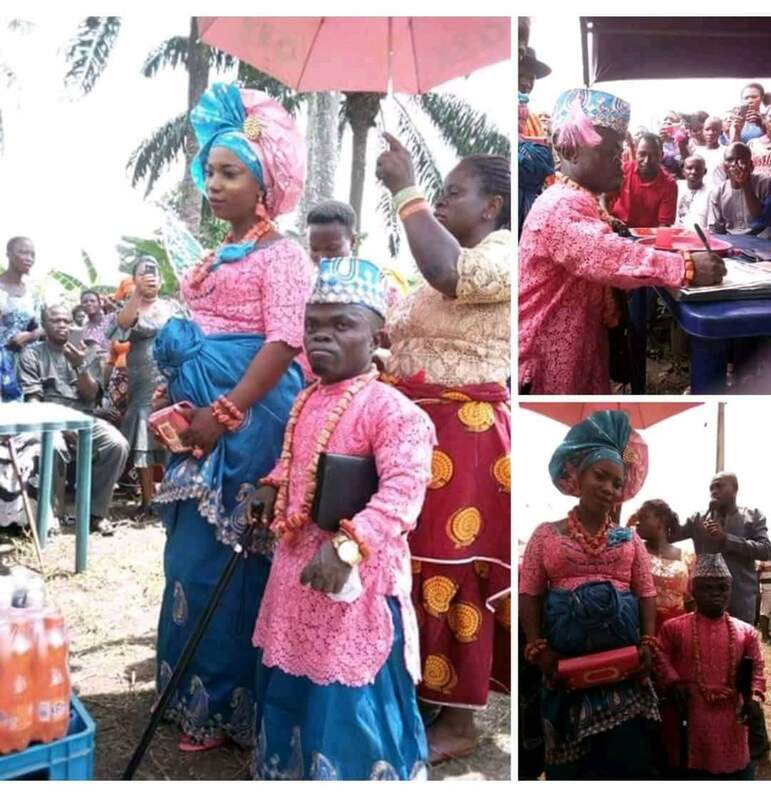 The couple celebrated their wedding ceremony in style and currently the latest couple making the headlines in Delta state.